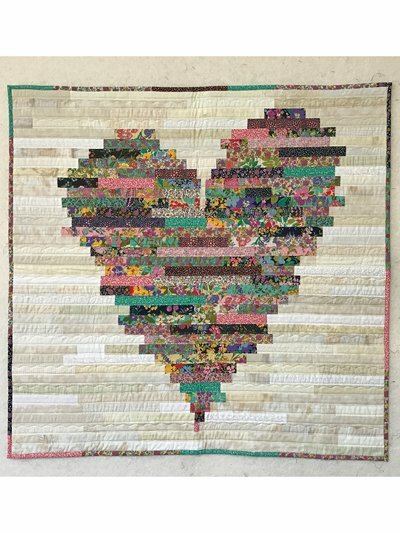 This scrappy quilt is a great way to express your love for someone special. The large quilt is jelly roll friendly. The small quilt would make a great wall hanging or baby quilt. Click here for supply list.